The price is still consolidating near the upper side of the current “Wedge”. 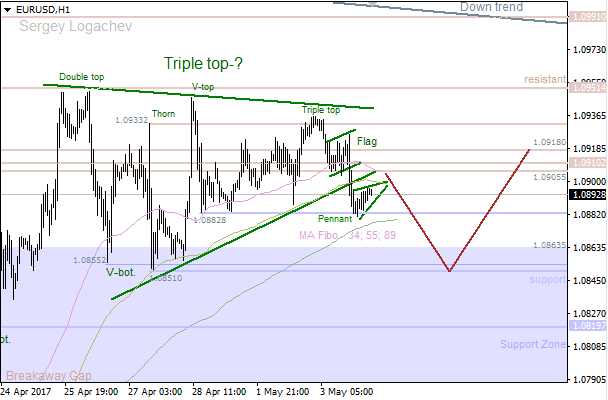 At the same time, there’s a possible “Triple Top”. If this pattern confirms, the market is likely going to decline towards the 55 Moving Average. If a pullback from this line happens, there’ll be an opportunity to have another bullish price movement. 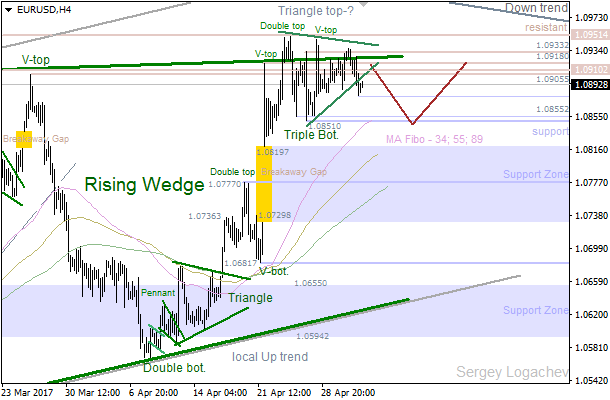 Bears faced a support at 1.0882, so the price is consolidating. Also, we’ve got a “Pennant” pattern, so the pair is likely going to test the nearest support area at 1.0855 – 1.0851 during the day. If we see a pullback from these levels, bulls will probably try to achieve a resistance at 1.0910 – 1.0918.